If you're looking for the Big Shot, Jameson has switched the name to the Tru-Shot. Same manufacturer, same great power and accuracy! The easiest way to get your line into the tree, this line launcher works like a giant slingshot to launch lines up to 100 feet. Can be used with a standard throw weight and throw line system, or with the specially-designed bullet-style weights. The big shot is equally popular with arborists, competition climbers, and recreational tree climbers. Being able to put your throw ball and line through the target crotch with precision and speed is definitively worth the investment. Please be aware that the 8’ pole is oversized, and an additional shipping fee must be added (usually $15-20). The Tru-Shot head is mounted onto a sturdy 8’ fiberglass pole. This gives you the optimum height to pull the sling to the correct position before releasing. The Tru-Shot Line Launcher yields impressive results with a little practice. Replacement parts available. Throw line, throw weights, and optional add-ons sold separately. Always use eye protection when using a line launcher. Oversized item. Additional shipping required. Excluded from free freight. 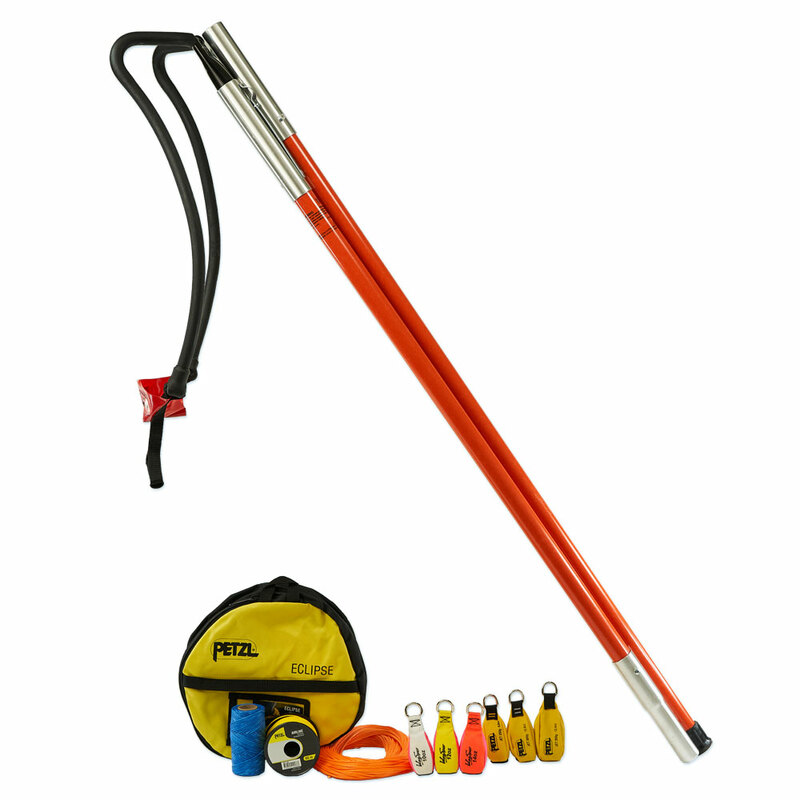 The Tru-Shot kit with 4’ poles couples two 4' poles together to make an 8' pole. This is great if you have limited space to store or transport your Tru-Shot, and since it is not an oversized item, it is eligible for the free shipping offer. Using Jameson B-Lite poles for the Tru-Shot creates a lighter, more rigid line launcher that is easy to break down and pack anywhere. Two 4' Tru-Shot Line Launcher poles with couplers that allow you to fit the two poles together to reach a full 8' height. Tru-Shot head sold separately. This kit gives you the ultimate selection of throw line tools to establish your personal favorites and make sure you've got plenty of backups and alternative tools. Please note that this kit currently does not contain the 20oz throw bag - price has been reduced. The Tru-Shot head is designed to fit into a Jameson female coupler mounted on a round fiberglass pole (sold separately). New improved design of Tru-Shot head and pouch sling! Replacement sling and pouch for the Tru-Shot line launcher. The stainless steel release shackle provides smooth and accurate release every time. The Tru-Shot release shackle comes with a short length of cord already on it, 3' of Zing-It for creating longer or replacement release cords, and 4' of 6mm accessory cord to tie a prusik and secure the release shackle to the Tru-Shot pole. This allows you to move the anchor for the release on the pole, adjusting the length of draw on the Tru-Shot for the desired height. Anyone who has tried to make a few consecutive shots can tell you that holding the tension on the powerful Tru-Shot sling while aiming can quickly tire out your shoulders and arms. Using the prusik to hold the tension allows you aim with ease, and release when you've got the shot lined up. Made in France. This 2’ adapter snaps into a 6’ fiberglass pole to adapt it for use with the Tru-Shot.